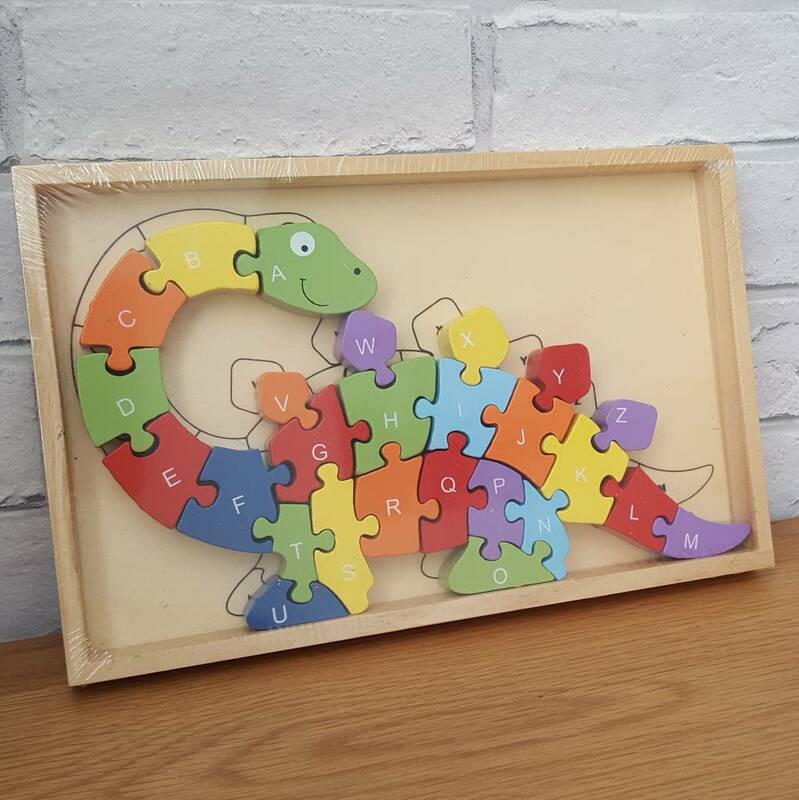 This handmade jigsaws have been designed to stand to be displayed in the wooden box. 26 pieces. Putting words and bringing the ABC in the correct order. The wooden box serves as a template. 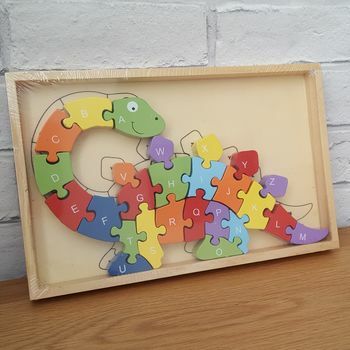 The dinosaur has the complete alphabet with numbers on its colourful body and is happy when it is properly sticked together. A great educational game for 3 years and above.